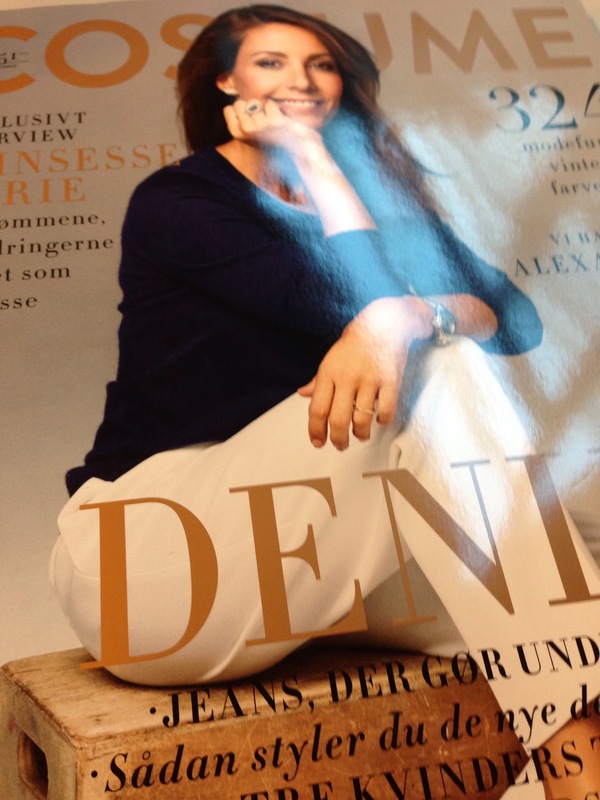 Princess Marie was interviewed in the Danish magazine Costume for the November issue. I bought the issue when I was in Denmark last week, and below are some translated out-takes of what she said. In general, it is a nice enough interview, but as it is in a fashion magazine, it does not get too deep, or ask too many critical questions. I was already well into my career, and did not at all think of a husband or children, but he was, and is, amazing. He has that Danish way of being – very discreet and a bit humble. It is charming, but he also has a bit of the French culture in himself, so we could speak perfect French together when we met. They are the most amazing boys and great role models for Prince Henrik and Princess Athena. I don’t mind telling you, that I have been exceptionally lucky with my bonus children. I wasn’t ready for the attention, and I didn’t want it back then. You never quite get used to the attention, but I feel like I have got to know Denmark and the Danes, and it is an amazing country to be in when you are a public person, because people give you space. I am respected and I never feel disturbed. Love conquers all, but I do miss my anonymity and walking around without make-up and having messy hair. I don’t do that a lot any more. But I am quite relaxed, although not quite as much as I was before. So I do miss the freedom, I do, but I have that whenever I am in France, New York or somewhere else abroad where people don’t recognise me. I am still the same Marie as I used to be. I love Danish fashion and am very proud that the Danish fashion industry is doing so well. I am very inspired by the Danish fashion and think the style suits the culture. In France things are a bit more stiff. I have my own style and mix the Danish with the French. In Denmark the style is relaxed and suits the fact that you bike a lot. It is trendy, but practical. I really like being relaxed and am not the type who wears a suit every day. I’m more a jeans and t-shirt person. Practical, but cool. There is a lot of backstage work. The way we work is much more than merely cutting ribbons. I am very engaged in my protectorates and in causes where people have dedicated their lives to make a difference for others. As I have travelled with Dan Church Aid, which have as their focus to fight hunger in the world, it is amazing to meet local people who risk their lives every day for the cause. It has a huge influence on my everyday life. I see life differently. My grandmother. She is the most amazing woman in the world, my best friend and my role model. She is so strong and positive. She is such a good human being. Even though my grandmother has had her share of bad experiences, she has never given up. I am inspired by that.